Young Gifted and Black: SHOTS FIRED: Lord Jamar drops "Its My House" after Grammys Award Show!! SHOTS FIRED: Lord Jamar drops "Its My House" after Grammys Award Show!! 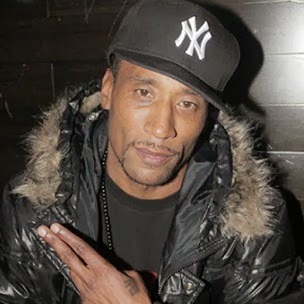 Lord Jamar is an American M.C and actor. He is a member of the hip-hop group Brand Nubian, which formed in 1989. As an actor, he is best known for his role of Supreme Allah on the TV series Oz. He has appeared on Law & Order: Special Victims Unit, Third Watch, and The Sopranos. He has also done production work for artists such as Dead Prez, Buckshot, Shaka Amazulu The 7th and Tom Browne. He released his debut solo album The 5% Album (an album dedicated to the Nation of Gods and Earths) on June 27, 2006. He also appeared in a much talked about episode of The (White) Rapper Show in which he criticized contestant John Brown for naming his company Ghetto Revival. Like his onscreen character on Oz, Jamar is a member of the Nation of Gods and Earths.